In a bid to alleviate some of the pressure small and medium sized enterprises (SMEs) face, INVEST Essex has recently introduced a service specifically tailored to SMEs. Dave Watson and Graham Johnson have joined INVEST Essex as SME Business Managers to offer free impartial advice and business support. The experienced finance professionals will be able to provide great value to the local business community. SME’s and start-ups can benefit from 12 hours of ‘free’ advice funded by the European Regional Development Fund (ERDF) that can be increased if there is value. The SME Business Managers have already received a high volume of enquiries and look forward to a busy year ahead. INVEST Essex offers specialist business support and free professional services to existing or start-up businesses in Essex as well as those considering relocating to the county. INVEST Essex are intent on maximising the commercial opportunities of Essex as a business location. As well as the new SME business support service INVEST Essex also manages the Essex Technology and Innovation Centre in Ongar where more than 20 SMEs currently reside. The centre is one of the business centres in Essex specifically designed to support entrepreneurship and SMEs. Many companies have built successful businesses on the foundation of their early years at the Essex Technology and Innovation Centre. Due to recent expansion at the premises there is still space to rent a range of offices as well as meeting/conference rooms. Contact Pam Winter for more details or call 01277 368200. INVEST Essex also supports the M25 Business Centre at Waltham Abbey, a more sizeable building consisting of 55,000 square feet, with 70 businesses already in occupancy. The centre was first conceived in 2013 by managing director Paul Zimbler. INVEST Essex liaised with Zimbler in the early stages helping to resolve Highway and Local Council issues and ensuring political support at several levels. INVEST Essex continues to provide ongoing support and interface with the local authority and Essex County Council. Since it opened, INVEST Essex and Zimbler have seen the centre, and those who occupy it, go from strength to strength. Businesses based at the M25 Business Centre can take advantage of the 28-minute journey time from Waltham Cross station into Liverpool Street. Commuting is further made easier and cost effective with over 130 parking spaces here. 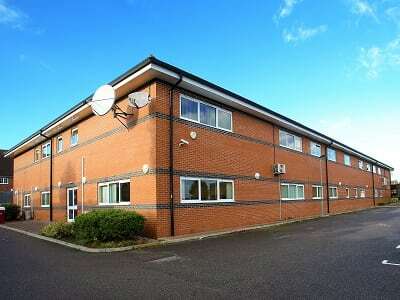 For more information about availability at the M25 business centre see here. For more information about the Essex Technology and Innovation Centre see here. For more information on the work INVEST Essex does to support SMEs contact one of the team here.